Ask any die-hard basketball fan who the top ranked players coming out of high school next year are and they will be able to tell you at the drop of a hat. Likewise, the media follows the high school recruiting process in mainstream sports carefully, knowing it is an essential part of a college team’s success. On the player end, recruits choose programs for everything from dynasty status to recent victories to a specific coach. It happens in basketball, football, soccer, and so on. And if you haven’t noticed, it’s happening in ultimate. For a long time, ultimate has been so unknown to most people that serious recruiting has been non-existent. Colleges had to spend time and energy finding athletes from other sports to fill out their squads and teaching them the game as freshmen; reaching out to high school kids in any kind of serious way simply wasn’t worth the effort. But with youth athletes across the country flocking to ultimate– it’s said to be the fastest growing sport in the nation– the talent coming out of the youth clubs is so phenomenal that you can build a program around it. The top names lighting up Skyd, NexGen, and the college world today–Dylan Freechild, Jimmy Mickle, and Trent Dillon for example- were well known to their respective recruiters a few years before they hit campus. While some freshmen are spending time perfecting their forehands, others have been stars since middle school, play serious club during the summer, and are in the running for Callahan by the end of spring. Schools put themselves on young players’ radars in a number of ways: camps, clinics, invitations to tryouts, and hangouts during college visits are easy and low-cost and are all commonplace across the country. But we’re now starting to see in ultimate what has long been a critical pillar of more established college sports: scholarships. Teams, alumni groups, and communities are working to provide money to help support young players in what is a relatively self-funded sport. Other schools, at times, have also turned to scholarships or awards to entice incoming freshmen– the University of Michigan and University of North Carolina to name a couple. It’s not just about the money, however: access to young talent is also extremely important. Pitt benefits from a strong pipeline to the rich pool of Pittsburgh’s youth ultimate scene. Over a dozen players for the school have been on in-state high school programs and have played for the youth club team, Impulse. This extremely talented YCC team has been coached by top Pitt players and Kaczmarek himself, and several of its stars have gone on to be key playmakers for Pitt. This reveals the incredible ultimate scene in the area, but also highlights the direct connection with the university. Players, alumni, and club members are integral in fostering the youth movement and bringing that talent directly into En Sabah Nur. Some states are lucky enough to have strong YCC teams with college connections, but few have such close association. Other schools have similar recruiting power, but in different ways. Carleton is one of the best known schools in the ultimate world, and though they are very small in size in comparison, they stay relevant because like Pitt, they reach out heavily to the youth world. The pipelines for Carleton are longer, however, as they lack a large population center in Northfield, Minnesota. CUT has great connections to the youth scenes across the country, especially Seattle, Atlanta, and Boston. Wisconsin and Pittsburgh are schools that have both size and prestige to aid their status. Wisconsin had almost 30,000 undergraduate students last year, and has a comparable history and success rate as Carleton while Pittsburgh’s Nationals success has been more recent. All three schools recruit in different ways, and all three benefit greatly from their already-established high level of play. Prospective ultimate players, even those not actively recruited, have top schools like these on their radars. With so many strong youth players going to already established programs and with big schools having such a numbers advantage, the challenges for smaller and less-established schools would appear to only continue to grow. But is this the case? If you lack top recruiting pipelines, an established program, and a large size, are you at a complete disadvantage? 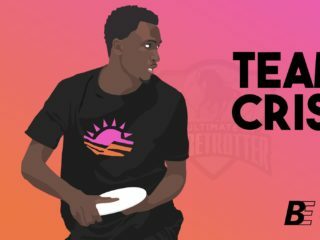 Tom Crockett, a captain at Truman State– a small Division III school in Missouri with a growing ultimate program– doesn’t believe many high school seniors make their college decisions based around ultimate. He maintains that other details are bigger factors affecting recruitment. “As a D-III team, the biggest problem we face when trying to recruit youth players is the location of our school,” said Crocket. “I would say that we are at a disadvantage in the sense that we are a small school in a small town.” This makes sense, and is one of the reasons USA Ultimate has followed other sports in establishing a difference between divisions based on size. Most programs who are eligible to compete in D-III and don’t have previous elite success– as in, they’ve never been to D-I Nationals– participate in the D-III series. However, this also begs the question of how just how important a school’s ultimate program is to a high school senior that is selecting colleges. For most, school size, location, program requirements, cost, and other traditional factors are still the primary focus when selecting a school. But more and more, youth players who plan on competing in the sport are looking closely at schools’ ultimate teams as well. The part of Hafeez that is weighing schools based on their ultimate merit is looking primarily at teams’ current and near future standing– he wants to join a team that will head to Nationals multiple times in the coming years. The program’s history and coaching are also important, but less so than a team’s predicted success. Admissions, however, is still priority number one. 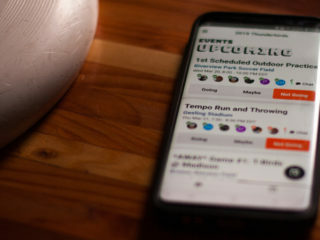 “Most of the schools with good ultimate teams in the area also have tough admissions, so ultimate has to come after getting into the school,” he said. Even the nation’s best young ultimate players have trouble devoting a school choice primarily around their sport. While scholarship money and foundations do exist, our athletes have to consider other factors, especially tuition, on an equal or even greater basis. 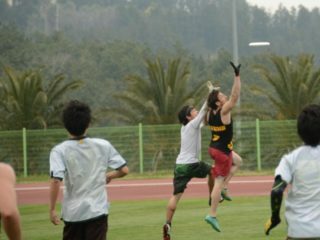 Youth ultimate players are increasing in number. Likewise, ultimate recruiting is growing, as are students who are looking for good ultimate programs within their intended colleges. The top players around the country are often well-connected in their ultimate circles and have a variety of contacts who recruit them both informally and formally. Just as in other sports, tuition, school size, campus lifestyle, and academics play important roles in enticing young athletes. Top teams are working hard to get as many young people into their ranks as possible, using every possible advantage of their respective schools in their quest to find the next ultimate star. They’re recruiting to win.